Home » Blog » Posts » The final Wrap up! WOW! Where did the week go? As the final volunteers make their way back to Australia after some much needed R and R, the rest of us just dream of being back in Siem Reap. The week went so quickly, but it will be a week we will never forget. To ask 4 people from different hospitals around the world, to work together in a foreign surgical theatre is a BIG ask. Our theatre crew didn’t know each other but nobody would ever have known. 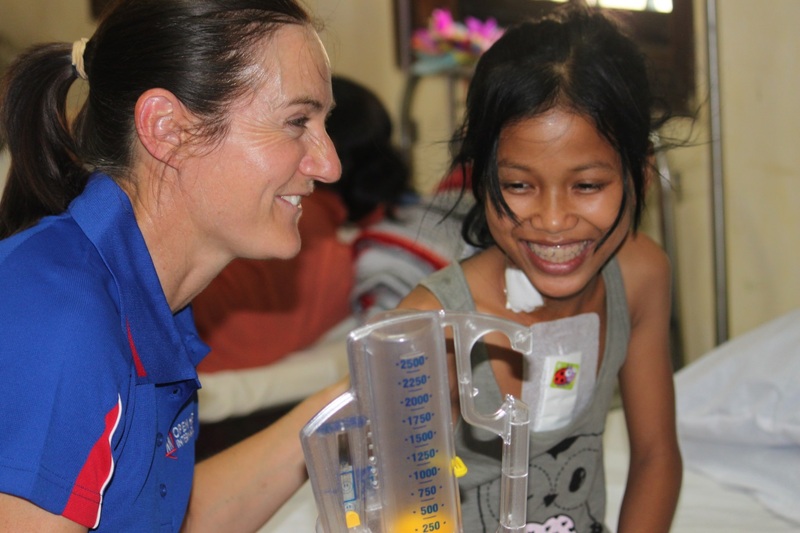 They worked in complete harmony, easily completing 3 cases a day, whilst sharing their extraordinary skills with their local Cambodian team mates. And there could be no better success than to see the local team operating with much more independence on the last day. Congratulations to the team for a job very well done – 15 successful operations in one week is a first for Open Heart International Cambodia. However, all kiddies doing well surgically doesn’t mean they didn’t make havoc in the ICU, some suffering persistent fevers of unknown causes. Scenarios never witnessed before in Australia kept our ICU team on their feet, with a few kiddies trying to “check-out”! If it wasn’t for the exceptional skills of John Awad and Hari Ravindranathan, and the highly skilled ICU nursing team that we were lucky enough to have on board, I am sure at least one little baby boy wouldn’t be with us today. Thankfully all children are now well and were discharged within 8 days of their operations. The always easy ward was so busy with action we had to insist on a rest period – for the staff as well as the children! With overflow from ICU, all hands were required to ensure that the children were back on their feet. Nearly all were kicking a ball or throwing a frisbee within a few days of their operations – all in a day’s work for our physio Cathy Mellor! I also want to thank our wonderful sponsors and support staff who added so much value to the team. Without your gift, these life-saving operations could never occur and we thank you so much for enabling us to do the work we do. We hope in return you have the reward of knowing that you have saved many lives, as well as significantly impacting the families concerned. As the team gets back to their normal lives, I am sure we will fondly remember the happy faces of the children and their families, as well as the new friendships made within the team, as well as the local Cambodian team.